What household is not happy about having a dishwasher? They make our lives easier each time we use them! They save water, and stop us from having to wash dishes by hand. When we think about the amount of dishes a household uses in one day, it’s no wonder the dishwasher is a welcome addition to the home! As much as we love our dishwashers, they can cause us some issues as well. Did you know that thirty percent of water damage is caused by appliance failure? 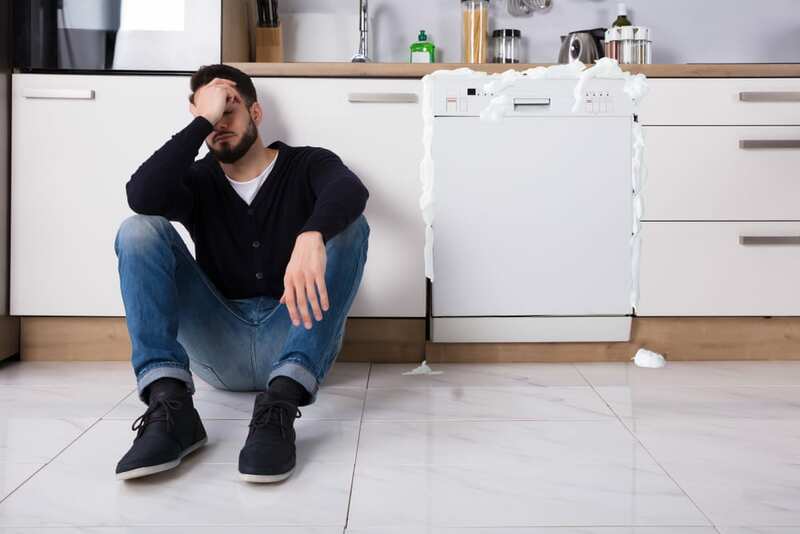 According to Roto-Rooter, dishwashers are a big contributor to home water damage! 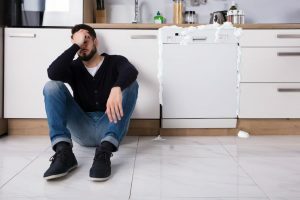 To keep your relationship with your dishwasher strong, take these steps to prevent water damage from your favorite appliance. Always know your appliance inside and out. Each dishwasher is different, and manufacturers will produce different models with various features. It is important to read through your manual when you first purchase your dishwasher and follow the recommendations! Most instructions will talk about the best soap types, loading instructions, and cleaning maintenance. All of these things can keep your dishwasher from leaking, and causing water damage to your home! Maintain your dishwasher regularly. Just like most appliances in your home, you want to make sure that you are checking your dishwasher periodically to ensure it is working properly. Start with rubber seals, check for rust, and unclog nozzles that may cause flooding from your dishwasher! Install the proper hardware. When you first get your dishwasher, the proper hardware is included. This means the hoses and seals you receive are the right size and material for your particular model and brand. If you must replace the hoses (which you will discover during your routine maintenance! ), ensure that you are purchasing the proper size and material type. Stainless steel braided hoses are great, they tend to fit in tight spaces without kinking, causing water backup, and you guessed it, a potential leak! Make checking your water lines a priority. Dishwashers typically have two different water lines, one that heads to the kitchen sink faucet, and one that leads to the disposal or drain. If you notice a problem with the water lines, call a professional immediately. This check, which should be done every six months, can prevent major water damage to your home! Only run your dishwasher when someone is home. Dishwashers will not give a warning sign when they flood. If you are not at home when the appliance is running and it springs a leak… you may be in for a big surprise when you return home! Keeping the dishwasher running when someone is in the home is the best way to catch a leak early before it causes too much damage. At A&J Property Restoration DKI we are available to help our clients anytime emergency dishwasher floods arise. We specialize in water restoration, and not just from a flooded dishwasher! If any appliances decide to leak, including toilets, faucets, refrigerators, pipes… we are here to help! 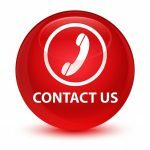 Call our 24/7 emergency line and we will clean up your home and help you through the water damage as quickly as possible.